Under the arrangement Our Telekom and SIFF will share the USD$5000 cost of bringing the games to Solomon Islands on a fifty-fifty basis. This amount translates to about SBD$40 000 which each party will contribute SBD$20 000 towards. Our Telekom marketing manager, Robertson Seztu, says that Our Telekom is pleased to once again support the live coverage of an international competition featuring a Solomon Islands team. 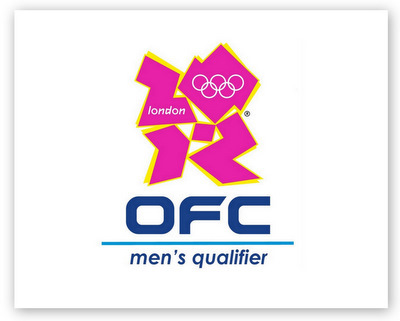 “Our Telekom is very happy to work with SIFF to bring the OFC Olympic qualifiers for men to local viewers live on television. We are especially pleased that SIFF has come on board to share the cost in this arrangement which has made it possible for us to finalise the broadcast deal with OFC,” Szetu says. SIFF general secretary, Eddie Ngava, confirmed the arrangement in an email from Auckland yesterday stating that the national football body has made an understanding with OFC for the shared meeting of the broadcast costs with Our Telekom. “SIFF is making this commitment for the public of Solomon Islands to have the opportunity to follow the Solympics live on television. Friends, families and supporters of the Solympics squad and the public in general have an interest in the team so we are happy to make it possible for them to view the games live,” Ngava says. Our Telekom’s support for the team extends beyond the live coverage to include the supply of 44 training t-shirts presented to the team before their departure on Tuesday. Our Telekom also supplied a SIM card set for international roaming with the number 74 94999. Members of the public may send their messages of support to this number. Other local business houses have also supported Solympics with training gear for their campaign at the Olympic qualifiers. DJ Graphics and Solomon Airlines both donated 24 training t-shirts to the team before their departure. Meanwhile reports from New Zealand state that the team has settled in at their camp at the Top 10 resort in Taupo. The team is also experiencing difficulties with the cooler conditions there where the temperature can fall to as low at 10 degrees Celsius at night and stay at a cool 22 degree Celsius during daytime. The team will play their first game against Fiji on Friday 16th March. In addition to live television coverage, live-text updates will be available on www.oceaniafootball.com as well as competition statistics.